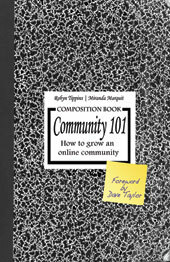 Community 101 - this book is for anyone who wants to build a fantastic online community. 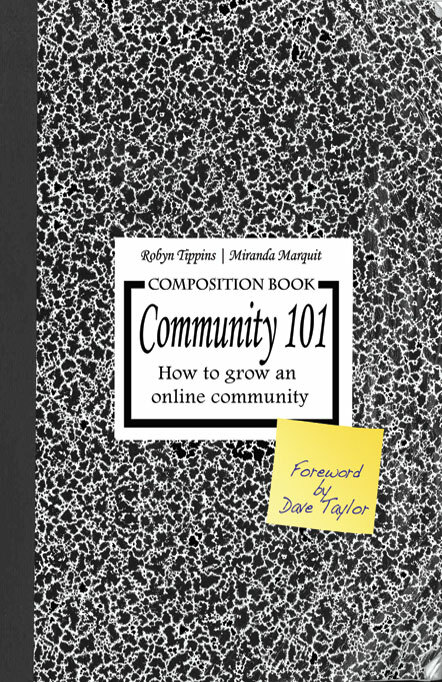 This book is for anyone who wants to build a fantastic online community. From Product Mangers to Executives, from Entrepreneurs to Evangelists, anyone can make their company�s community thrive. Community management isn�t about trickery or contests, but about treating your community�s members as if they matter to you. After reading this book, you have no excuse not to build your own thriving online community. Making an online community that grows and survives isn�t easy. It takes planning, vision and dedication. Most companies aren�t prepared to invest the time and manpower it takes to make it happen, and when their communities fail to prosper, they blame it on chance. But chance doesn�t play a part in whether or not you respond to your community�s needs. Successful online communities don�t just happen, but with proper care and feeding your company can build a community that surpasses all of your expectations. If you are kind to the people who make up your community, you�ll gain a sold-out customer base and your business will be the beneficiary of increased sales, increased loyalty and increased customer satisfaction. This book isn�t intended to tell you what a community is, it will explain what a company can gain from a great online community and it will give you the education and tools you need to make it happen. Robyn Tippins is a community advocate with over 10 years experience in the social media space. From her early days marketing her own small business using forums and email lists, to blogging, podcasting, vlogging and video game immersion, she�s often used social networking to engage and communicate. In her current role, Robyn oversees the community aspect of the external developers on the Yahoo! Developer Network. Robyn has blogged for blog networks and corporations, podcasted for small and large businesses, worked closely with social networking sites, and advised Fortune 500 companies on social media and community. Her early podcasts featured some of the web�s most interesting and well-known Web 2.0 experts in fields such as VoIP, Technology, Open Source, Marketing, Social Networking, Video Games and Blogging. She finds her greatest joys in moments away from her computer, spending time with her husband and four children, ages 4 to 11. She and her family reside in the San Francisco Bay Area of Northern California. Miranda Marquit is a professional blogger and freelance writer working from home. She has five years experience in the blogging and social media space, mainly providing content and support for corporate blogs. Miranda understands the importance of blogging and social media in online marketing and community building, and enjoys interacting and networking via the Internet. In addition to professional blogging, Miranda is a freelance writer with a Journalism degree. Her work has appeared in national magazines and on news Web sites. She is also a columnist for her local newspaper. Miranda enjoys reading, music, travel, and the outdoors. Her favorite activities involve using her hobbies as a way to spend time with her husband and their six-year-old son. Miranda lives with her family in Logan, Utah.